This holiday was established to commemorate the events of August 1, 1944, when the leader of the Soviet Union Joseph Stalin signed a decree, that created a general Bureau of Administration of the Rear Services of the Soviet Red Army. This event may be considered as the actual self-determination of the Rear Services of the Soviet Armed Forces. It had an entire set of responsibilities, including military logistics and support. The Rear Services supplied the army with ammunition, spare parts, fuel, clothing, food and other materials, that were required in the battles. 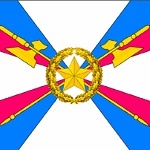 After collapse of the Soviet Union this branch was reorganized to the Rear Services of the Armed Forces of the Russian Federation. In 1998, Day of the Rear Services of the Armed Forces was established by order of the Minister of Defense of the Russian Federation.